Growing churches where making disciples in obedience to the Great Commission of Jesus is the normal agenda and priority. Growing disciples who reach out to those around them to make new disciples, and who encourage one another to maturity in Christ. In 2009, Matthias Media published a book called The Trellis and the Vine. It was a book about what ministry is, and why so many churches have become stuck in a ministry rut. It was intensely popular and garnered international praise. The Vine Project brings together the theological vision of The Trellis and the Vine, the answers to the questions that pastors have asked, and over forty years of ministry experience. 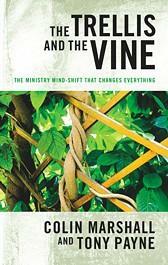 The Trellis and the Vine proposed a “ministry mind-shift that changes everything”. The Vine Project shows how that mind-shift can and must shape every aspect of what you are doing as a congregation of Christ’s people to make disciples of all nations. We connect a community of like-minded people passionately committed to disciple-making culture change. We offer coaching to support pastors and ministry leaders who are engaged in disciple-making in their organisation. Find out more. 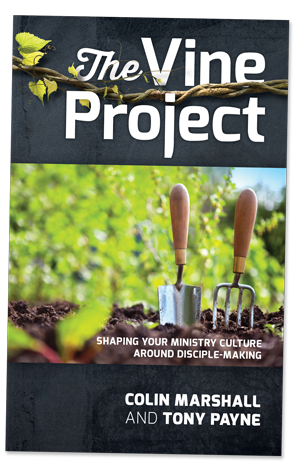 We write books and supply various resources to challenge and equip people involved in disciple-making. We would love to chat to you about how we can help you in your disciple-making efforts. Colin (or Col) is married to Jacquie and they enjoy God’s blessing of three adult children and four grandchildren. Together with Jacquie, he has spent the past 40 years training men and women in the ministry of the gospel, both in university and local church contexts. He is a graduate of Moore Theological College and the author of The Trellis and the Vine (with Tony Payne), Growth Groups, and Passing the Baton. He was the Director of the Ministry Training Strategy (MTS) for 15 years to 2006 and took up the role of International Director until 2009. 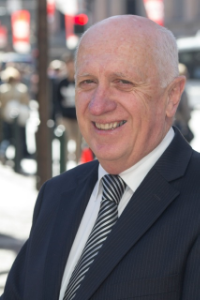 Alongside his work for MTS, he was Chaplain to the NSW Cricket Team for 8 years. Craig is the Director of Vinegrowers. 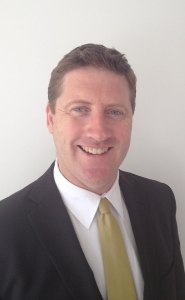 Craig has extensive experience developing people, leading teams, and shaping culture. He is a graduate of Moore Theological College. In Vinegrowers, Craig brings together his background as a player and coach in professional sport, a devotion to disciple-making and strong gifts in coaching, teaching and leadership. He possesses a deep affinity for those who serve in pastoral ministry. Craig has coached dozens of pastors to help them build the type of disciple-making culture advocated in The Vine Project. He regularly delivers training seminars to church leaders, congregations and students, equipping them with practical tools and skills needed to grow as disciple-makers and lead the change in their context. Ash is a communications professional with over 15 years of experience in print, digital and video media. She has worked for both corporate and not-for-profit sectors. In recent years, she has produced videos and print publications for Covenant Christian School. 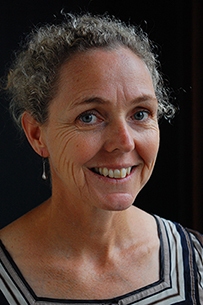 Prior to that, she worked as the Communications Officer for Church Missionary Society-Australia and edited a feature documentary. Ash has a Master of Arts (Communications and Media). Bachelor of Arts (Psychology) and Diploma in Biblical Studies from Moore Theological College. She is married to David and they have two young children. They serve at St Faith’s Anglican Church, Narrabeen where Ash helps lead a playgroup. Ash is our Communications and Resources Manager with a focus on developing our library of resources and managing thevineproject.com site. You can contact the team at Vinegrowers using the email address below. One of the team will get back to you promptly. © 2016 VINEGROWERS LTD. | SITE BY ELEVATE CREATIVE. Joining The Vine Project community grants you access to a library of resources and connects you with a worldwide fellowship of ministry leaders engaged in disciple-making culture change. Join for free or find out more.